Modern work with color is all about whimsy solutions like color blocking, ombre and gradient. 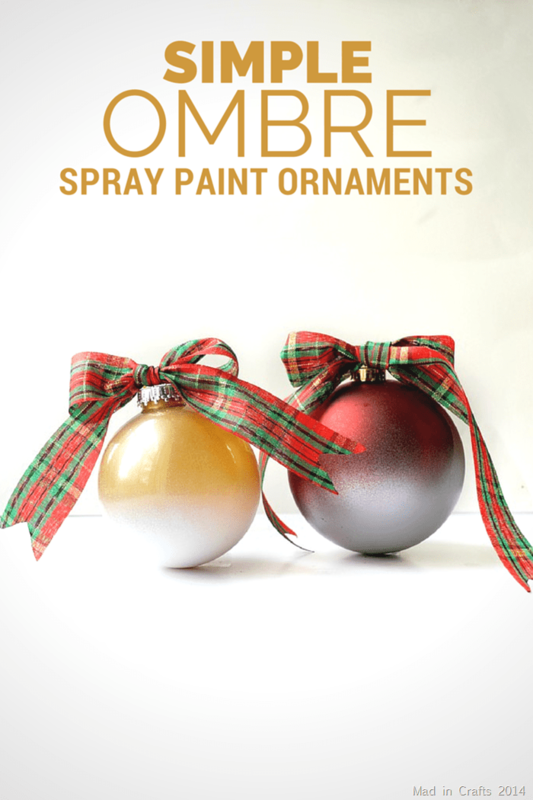 Bring a hot modern feel to your holiday decor adding some ombre ornaments to your Christmas tree or everywhere you want. Here are some tutorials that may be useful! 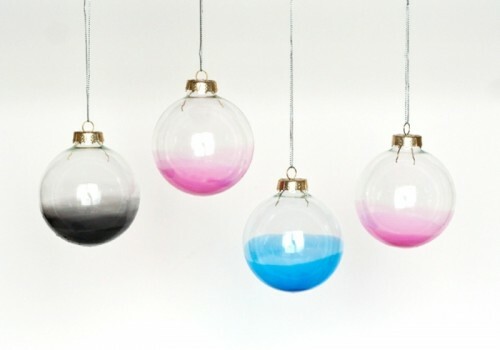 The first idea is about changing clear glass or plastic ornaments into bold ombre ones. 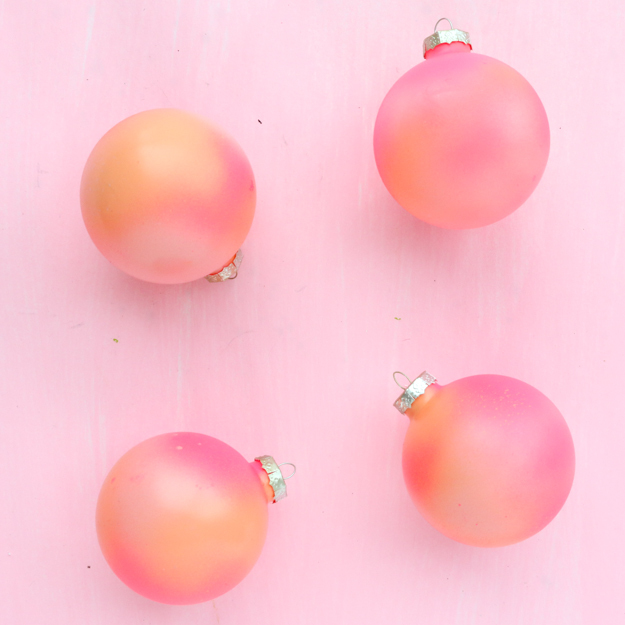 Choose the colors you like and decorate your Christmas ornaments with bold shades still creating an ombre effect. If these are glass ornaments, take glass stains, they will work perfect. Give your Christmas tree a bold and modern look! 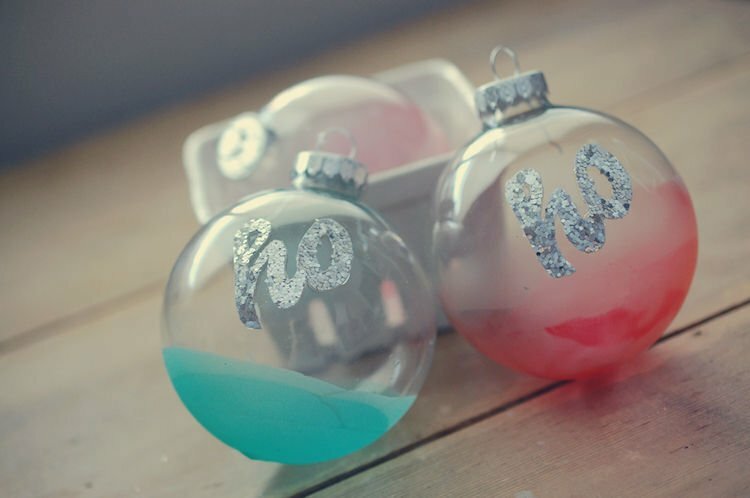 Here’s another clear glass ornament tutorial but this time they aren’t only bold, they show off glitter letters, too! I don’t know about you, guys, but these bright shades and glitter touches make feel like holidays are right around the corner! Choose any letters and words you like and when you’re finished and the glass ornaments have had time to dry, glue your words onto the front of each one and you’re done! 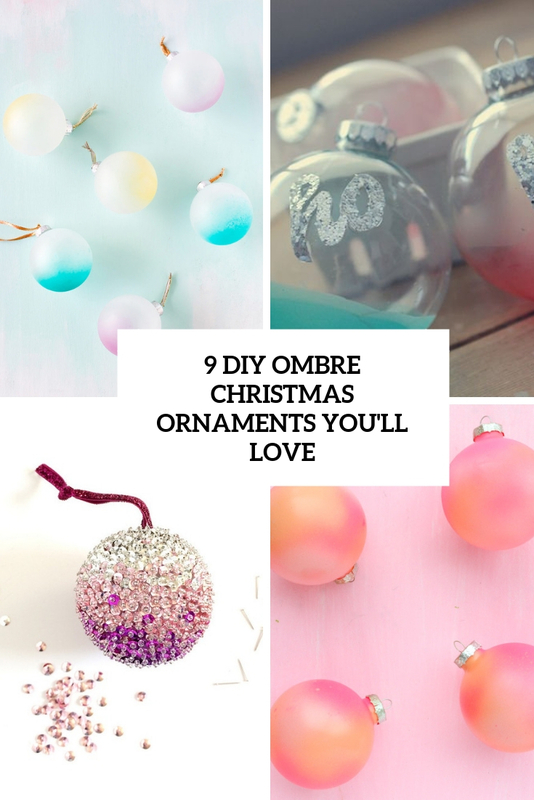 These ombre ornaments look more noticeable as they are made of frosted ornaments. Grab some frosted ones and decorate them following the tutorial in the source. Such a project can be realized in just some minutes, enjoy! 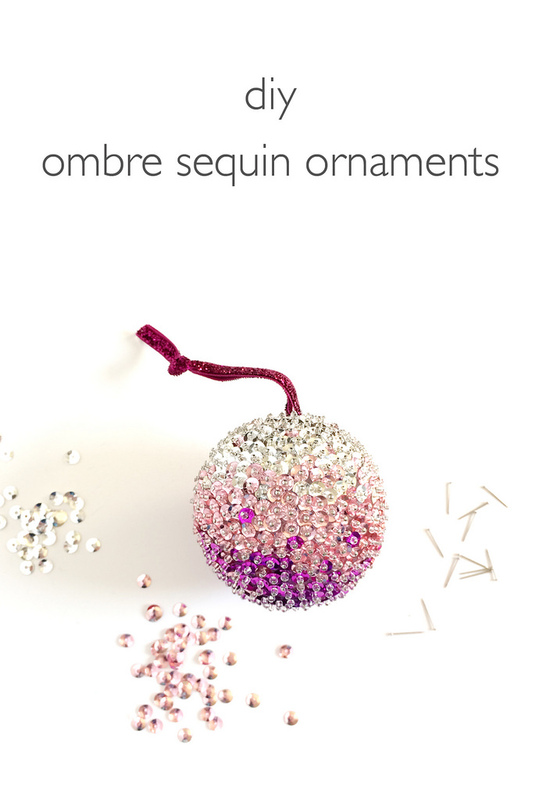 These cool ombre sequined ornaments are exciting and sparkling! While the materials are really inexpensive and the technique is simple, it takes a while to do. This is the sort of craft that will become an heirloom so take your time and don’t rush it. It’s actually a pretty relaxing activity once you get going and the results are absolutely stunning. No one will believe you made it yourself! Ombre and gradient doesn’t always mean bold colors. If you prefer minimalism, Scandinavian decor and monochromatic color palettes, here’s a tutorial for you. 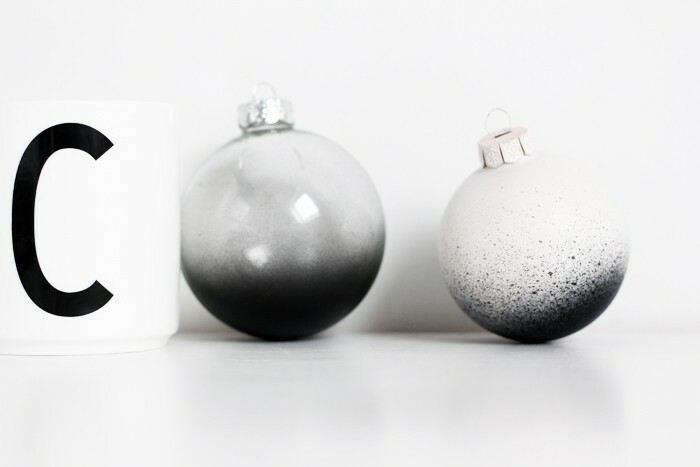 This DIY can includes three versions: spray painted simple glass ornament in black and white and ornaments spray painted in total white with ombre black. It’s really simple and you are done within seconds, enjoy! If you are bored with your old ball ornaments and want to give them a new look, nothing is simpler than this spray paint technique. You can give the ornaments a gradient look in just one step. Here the technique is used on some large plastic ornaments from the dollar store, but it will also work on metal or glass. Add large plaid bows on top and voila! These beautiful and modern blendo ornaments are cool to make your Christmas tree super bold, and they will be more clearly seen on a white tree. 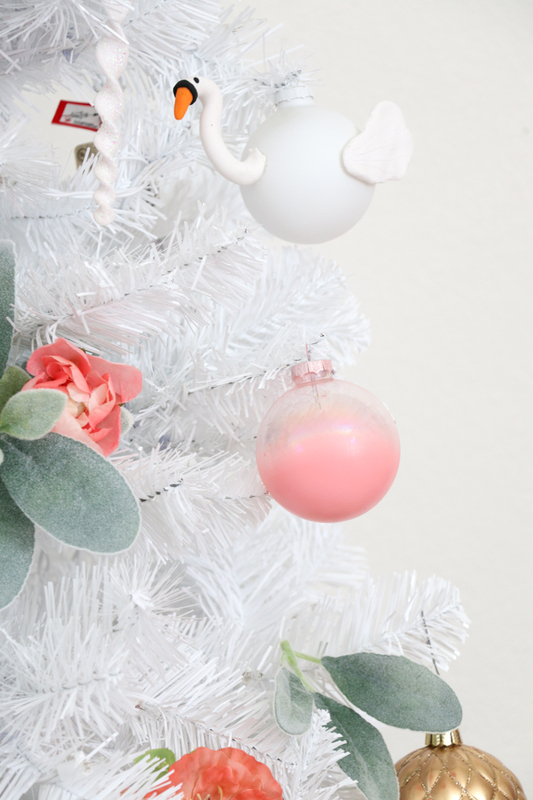 Read the tutorial on making them fast and easily and enjoy the cool modern look of your tree! 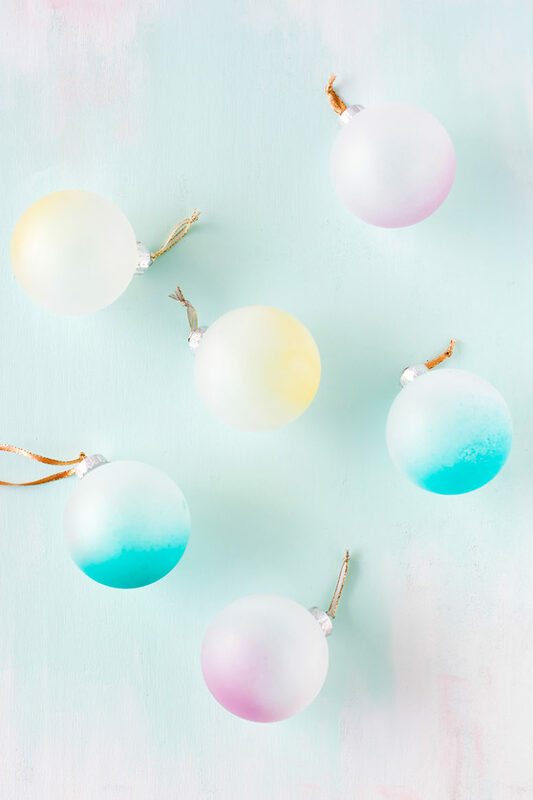 Decorate your tree this year with these stunning ombré tree ornaments! The ombré pattern, which produces a color gradient effect transitioning from dark to light, is the perfect way to incorporate your favorite hue to just about any craft painting project. What’s great about this project is that it is essentially foolproof. The swirling effect of the different paints inside the ornament will allow you to create a unique and beautiful design each and every time. Not only will be the post be short, but this DIY is so quick and easy, that you can even get started even after you have stuffed your face and are in a food induced stupor. 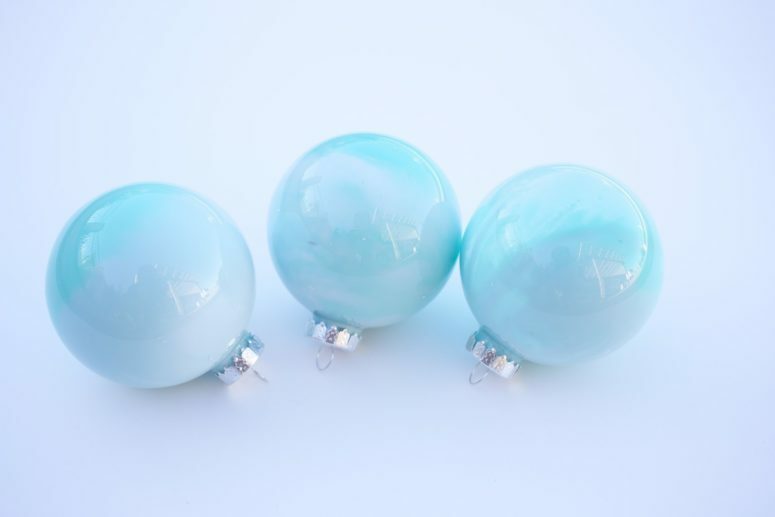 Take some clear glass ornaments and read the tutorial to make them cool and bold! These are so much better than plain solid color ornaments don’t you think?